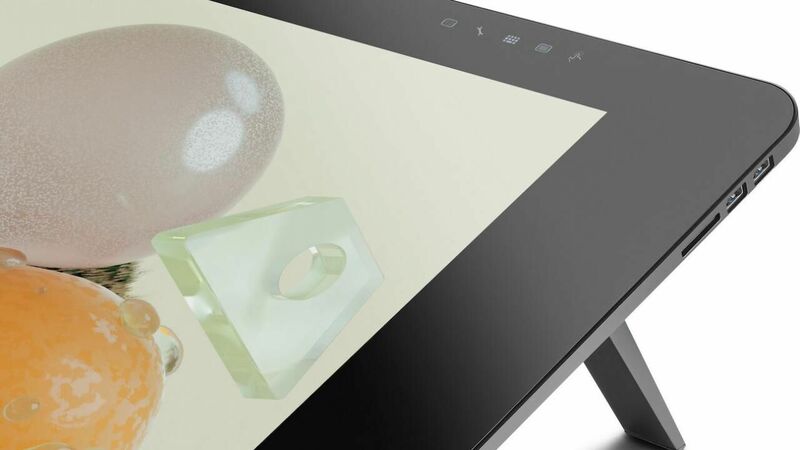 This bit of news might only concern digital artists with deep pockets, however digitalEPIGRAPHY would like to reach out to those of our colleagues working with the Windows ecosystem, when reporting on the current state of Microsoft’s high-end all-in-one drawing tablet. To be precise, calling it a “drawing tablet” is not an accurate term when referring to the largest Surface, because the sophisticated drawing display hides a full-fledged Windows computer, similar to Wacom’s Mobile Studio Pro or its latest Cintiq Pro display, which can be enhanced with the addition of the Cintiq Pro Engine. When Microsoft Surface Studio first came out, it seemed like an ambitious project specifically directed towards creative professionals. It was an all-in-one flexible desktop computer with a stunning screen and many features that could help our day-to-day work in the studio. However, a closer look revealed an underwhelming processor and some serious design flows that made it an investment that was hard to justify. Although it was a desktop computer, it was powered by laptop-class processors and graphics cards, which were already a generation behind at its release. Instead of a modern, speedy SSD, it used a hybrid drive that was slower and more prone to failure. With the Surface Studio 2 Microsoft didn’t change its recipe regarding the design, however it greatly improved the internal specifications. The most stunning part of the Studio is still its 4500x3000 pixels (28 Inches, 192 DPI, 3:2 aspect ratio) touchscreen floating on a hinge, but this time around it is brighter with more contrast. Microsoft added a USB Type-C port to the base alongside the full-size SD card reader, a gigabit Ethernet jack, and four USB 3.0 ports. Inside, you can find a quad-core Core i7 processor, up to 32GB of RAM, up to a 2TB SSD, and either a Nvidia GTX1060 or GTX1070 mobile GPU, which finally makes it capable to handle inking large drawings without any lag. 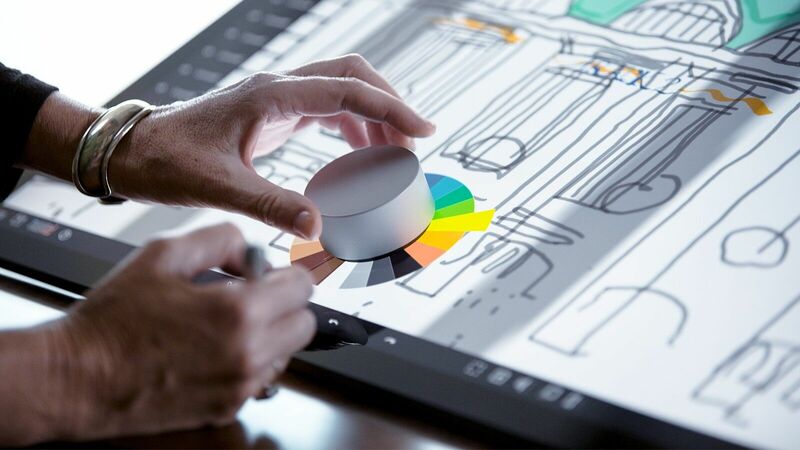 The Surface Studio has built-in support for Microsoft’s Surface Pen, therefore when one wants to draw on the screen, it can be simply lowered to a 20-degree position, and suddenly, the Studio becomes a giant 28-inch surface for digital art. The included Surface Pen is thicker and design-wise it is closer to a Wacom stylus than to the Apple Pencil. It comes with replaceable nib, a customizable side-switch and end button, the latter of which also doubles as an eraser. It attaches magnetically to the side of the screen, has 4096 levels of pressure sensitivity (half of the Wacom Pro Pen 2), includes tilt support, and works without any noticeable offset between the cursor and stylus. It is necessary to mention here that there was a brush stroke jitter issue that plagued the first generation. The problem was that with the original Studio, painting freehand straight lines resulted wobbly strokes when you drew slowly, which is the exact procedure when inking digitally… According to Microsoft, this issue was finally addressed in the new firmware released for the second-generation, however you should be aware of this burden when planning a $3500 investment. There’s another accessory called Surface Dial that can be purchased separately for $99/£89.99 and is meant to be used as a shortcut dial when placed directly on the screen. It was released a year ago along with the original Studio and it hasn’t been updated since. Although Photoshop is somewhat optimized to give the Dial more features but it just doesn’t offer any useful features that one can’t do by simply navigating the touch-screen. 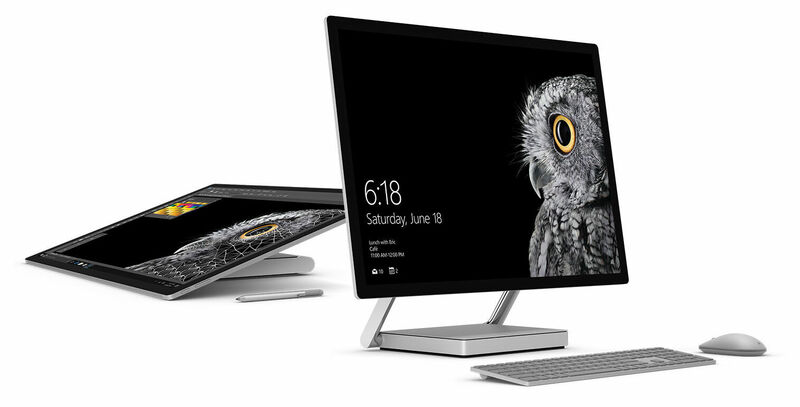 The entry-level Surface Studio 2 starts at $3,499 (1TB, Intel Core i7, 16GB RAM) and is shipping now. There are more expansive options available with better graphics cards and greater amounts of memory and storage for $4,199 (1TB, Intel Core i7, 32GB RAM), and $4,799 (2TB, Intel Core i7, 32GB RAM) depending on your preferences. 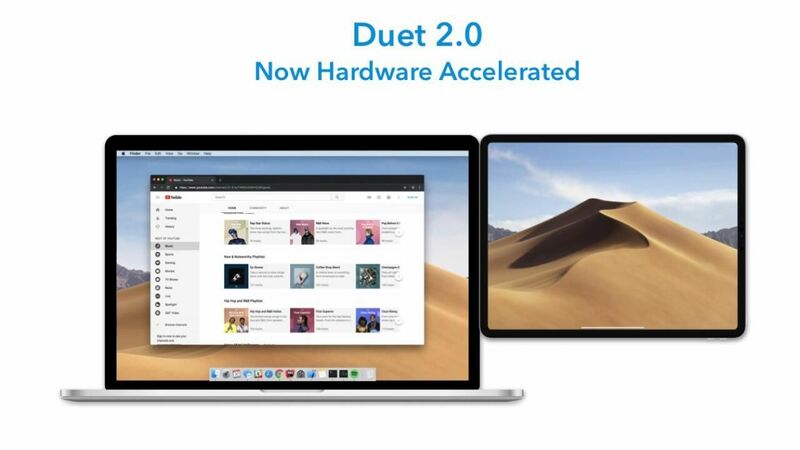 That’s a higher starting and finishing price than the last-generation device, however there are discounts offered for students and teachers. Although the Surface Studio 2 is certainly designed for a niche market where cost isn’t as big of a concern, with its performance improvements under the hood, this second iteration can be finally recommended to our digital artist community. The iPad Pro has become a fantastic tool for us working in digital documentation in part because of its flexibility — different apps provide different drawing tools, ideas, and experiences.